Homeless young adults represent a failure of the U.S. social services system to prevent new generations of homeless people. However, several organizations are working in concert with communities and governments to combat this problem through transitional housing programs that target young adults ages 18 to 24. Many of these programs mirror the new urban development trend of mixed-income housing, and place transitional houses inside stable neighborhoods that are either affluent or mixed-income themselves. While these programs represent monumental commitments in terms of resources, they also represent hope for many young adults. The sense of community these young-adult residents feel toward their neighborhoods and programs have lasting effects on the residents’ abilities to find normalcy inside the American culture through access to education, safety, and employment. 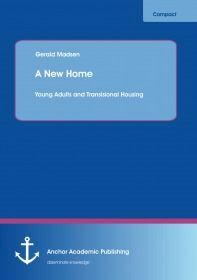 This study examines the YMCA Young Adult Services Program (serving the greater Seattle area) for transitional housing, exploring how the program works and what is residents’ psychological sense of community.